As I have German roots I have special memories of mushrooms. When I lived in Berlin, together with my father (who passed away long time ago) and friends we were often out in the woodlands searching for eatable mushrooms. 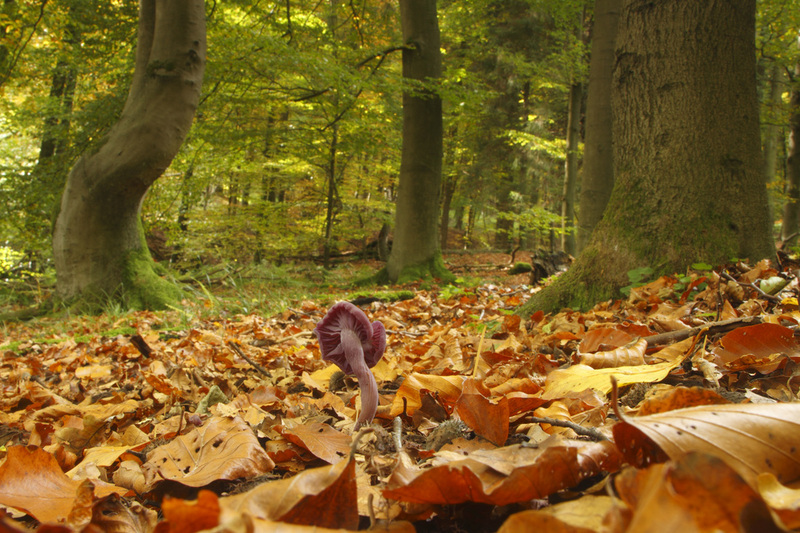 These were precious events as I learned a lot about nature and of course mushrooms and often we found fascinating creatures like Slow Worms. The meals with the tasty mushrooms which were made after homecoming are treasures in my memory. 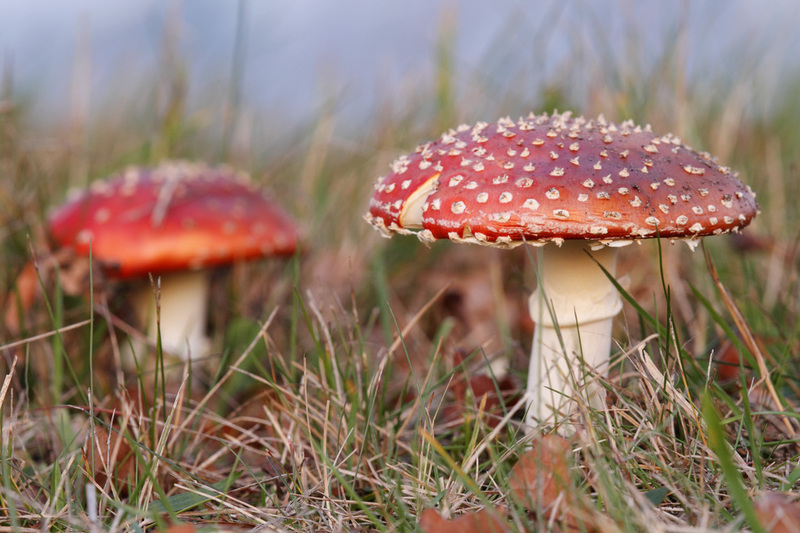 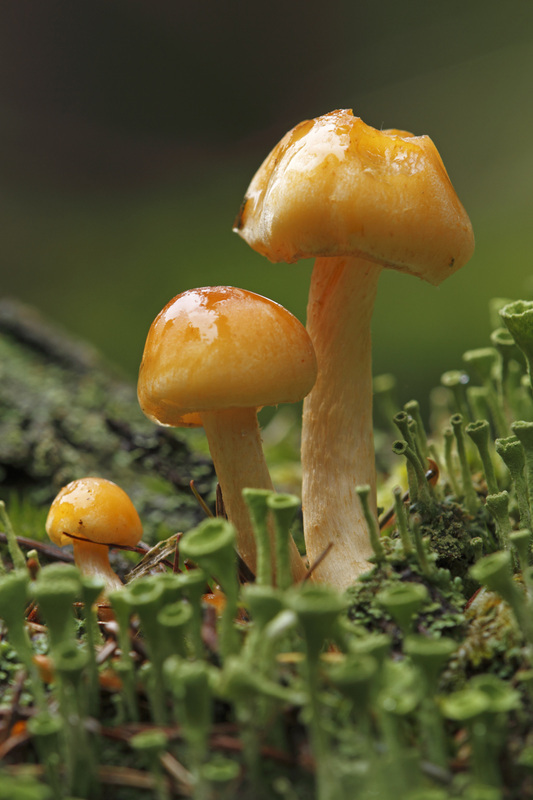 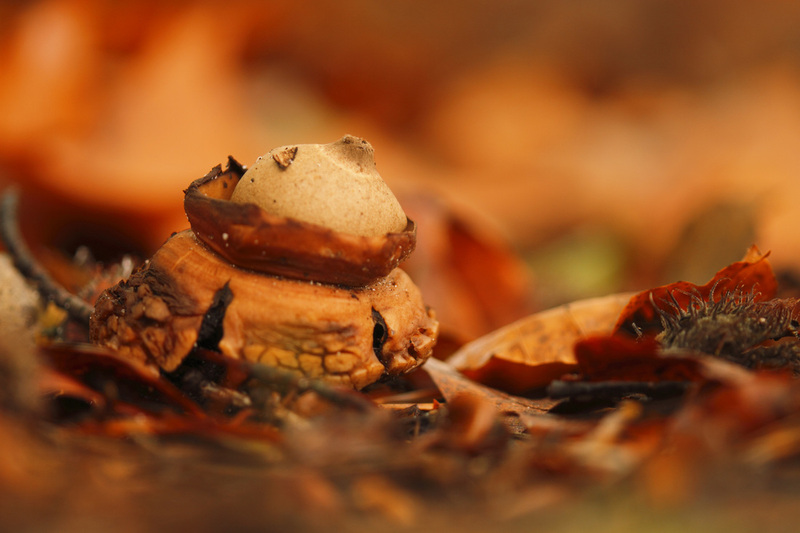 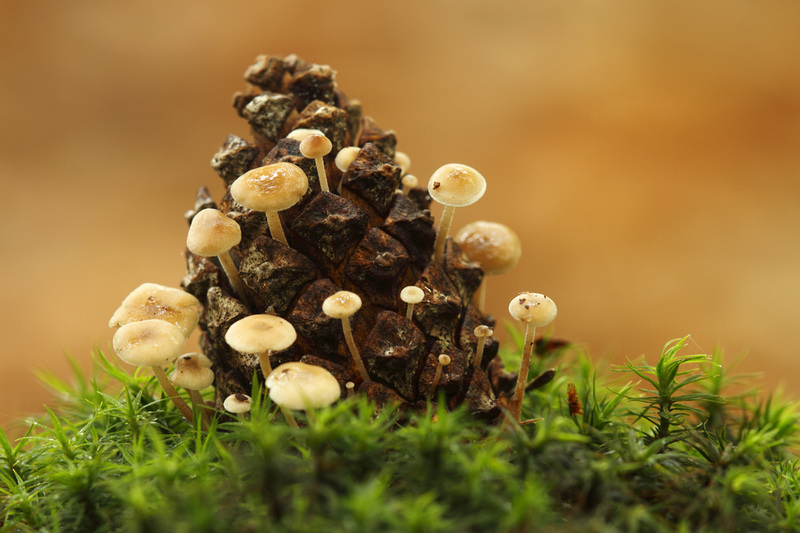 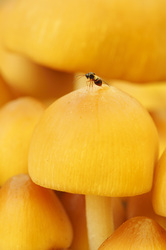 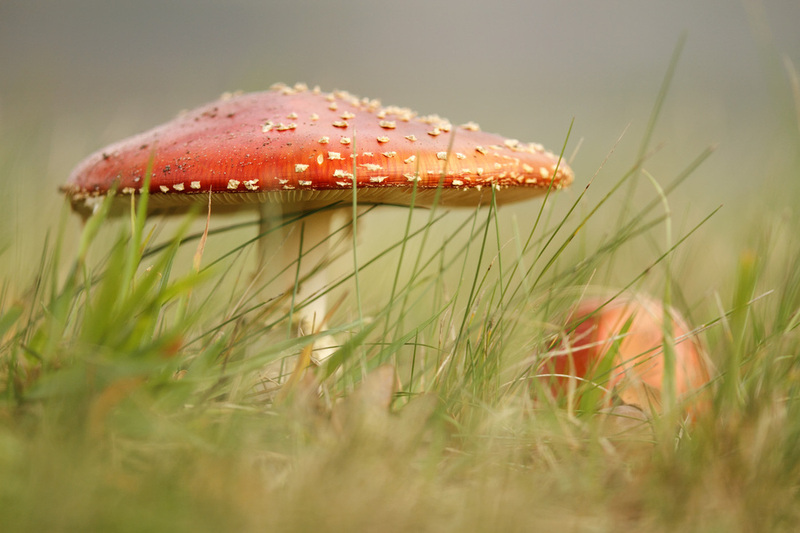 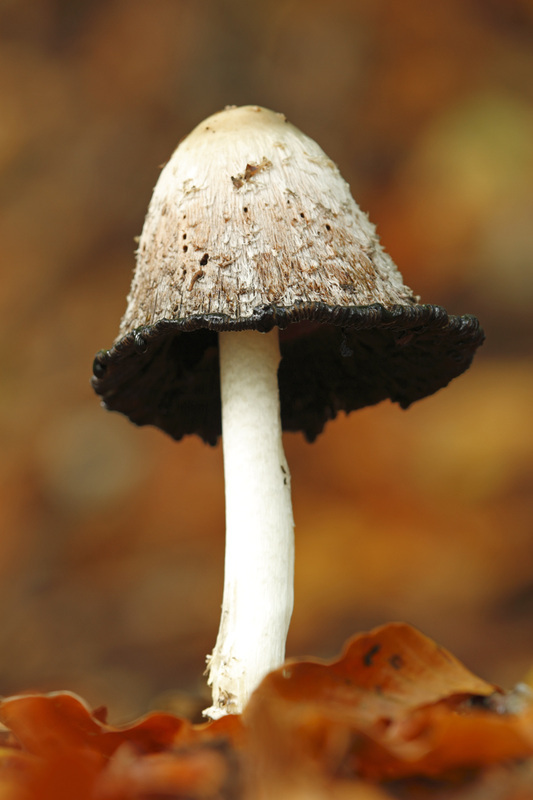 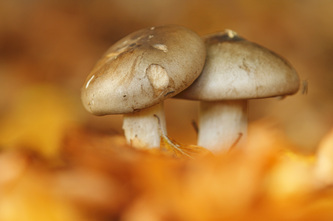 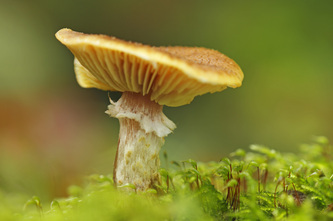 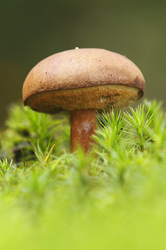 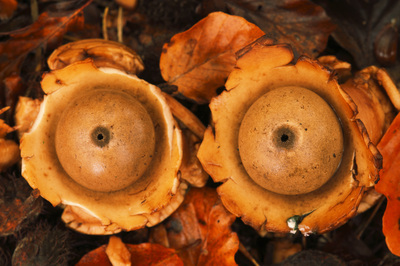 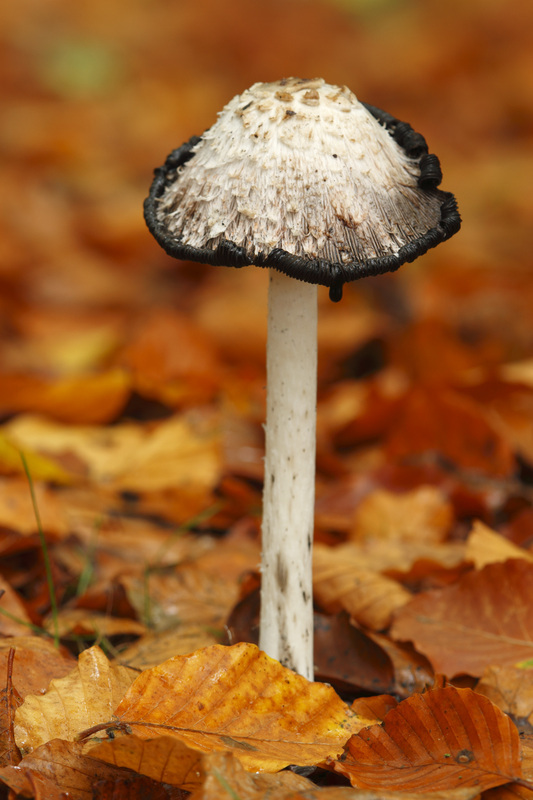 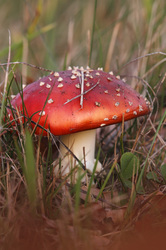 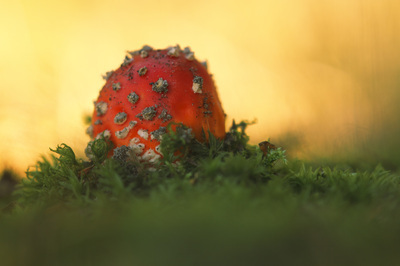 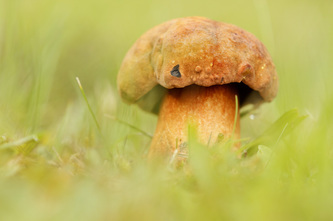 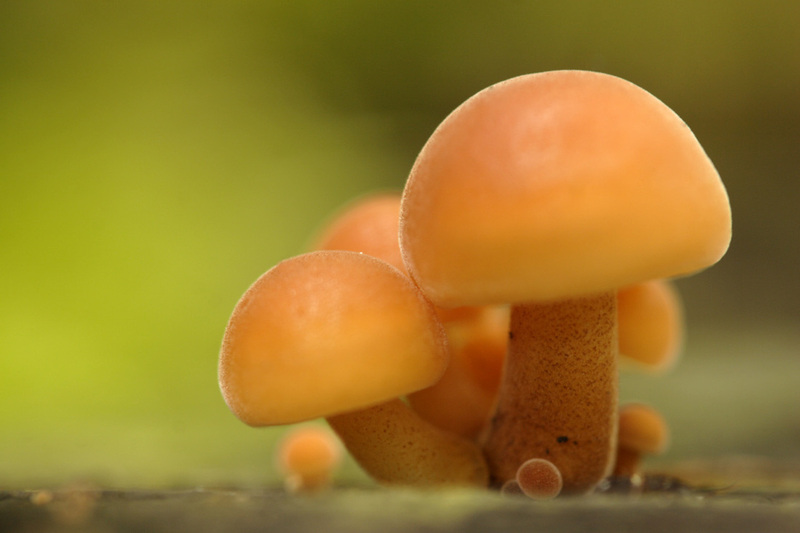 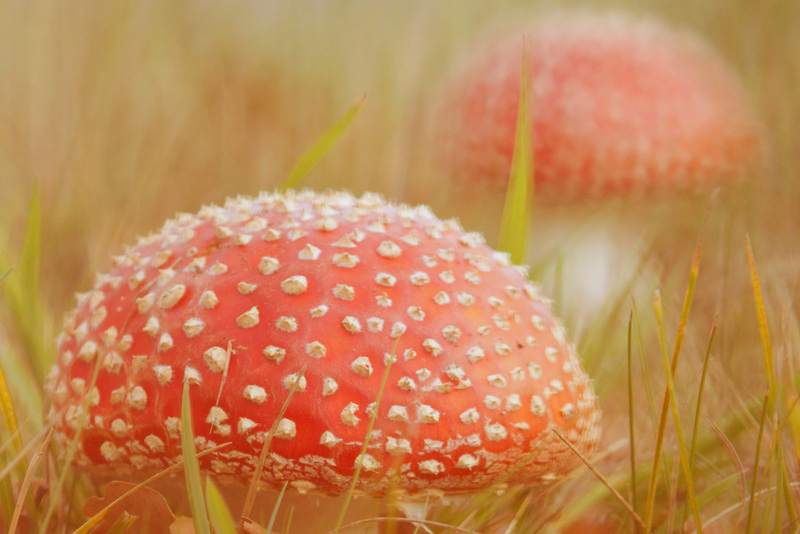 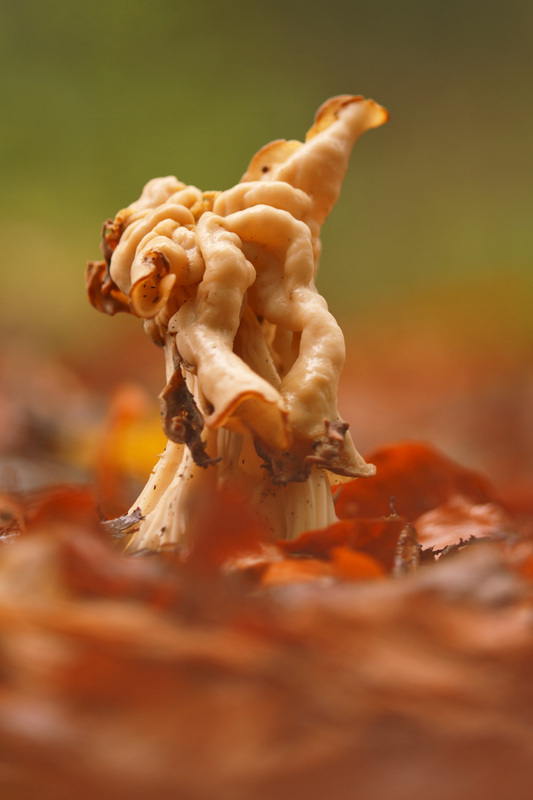 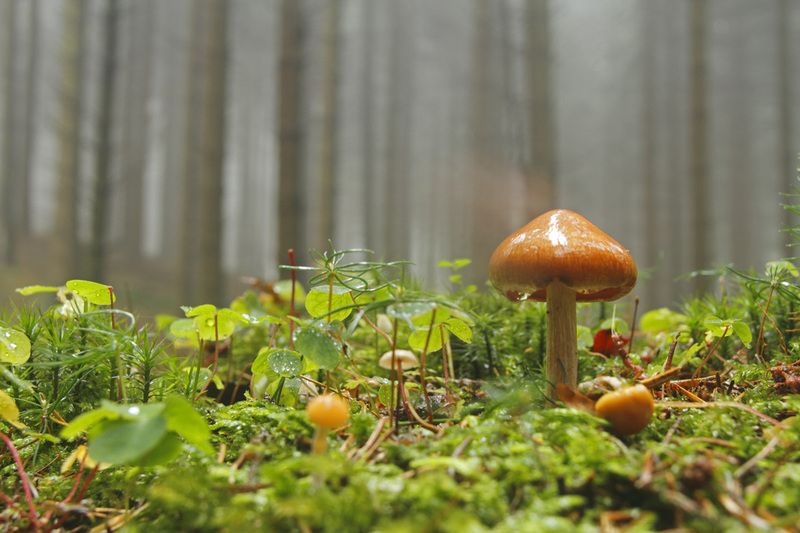 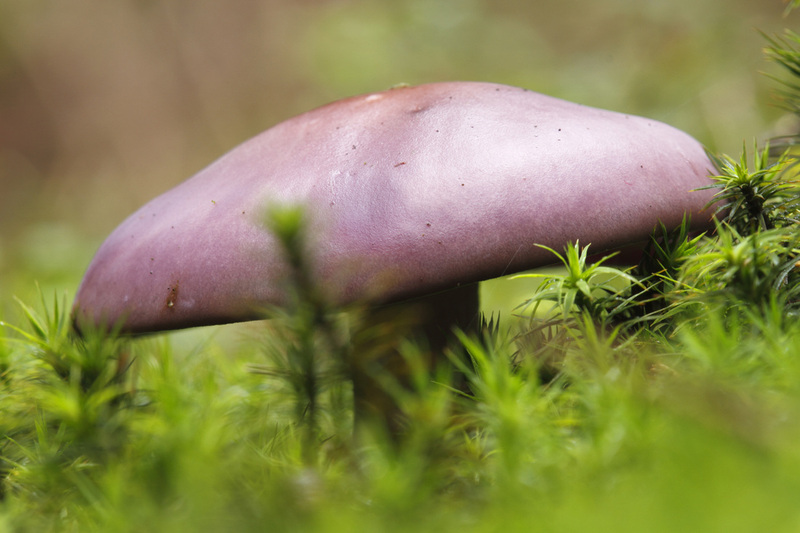 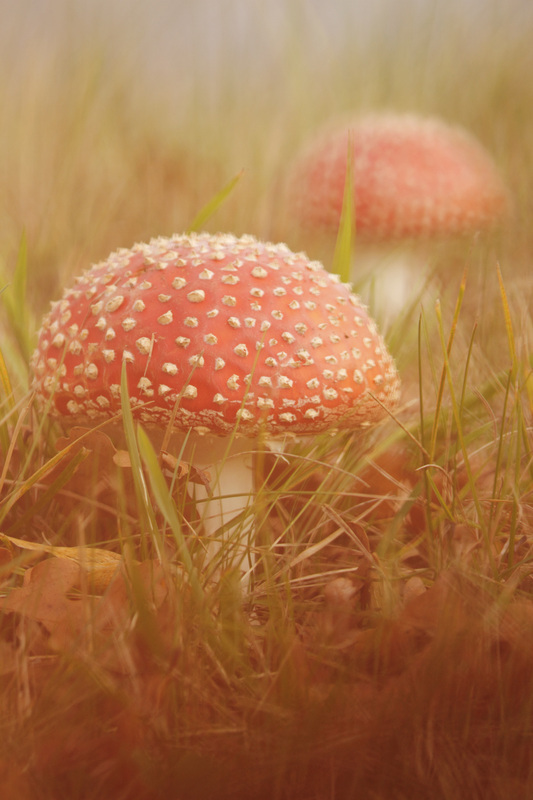 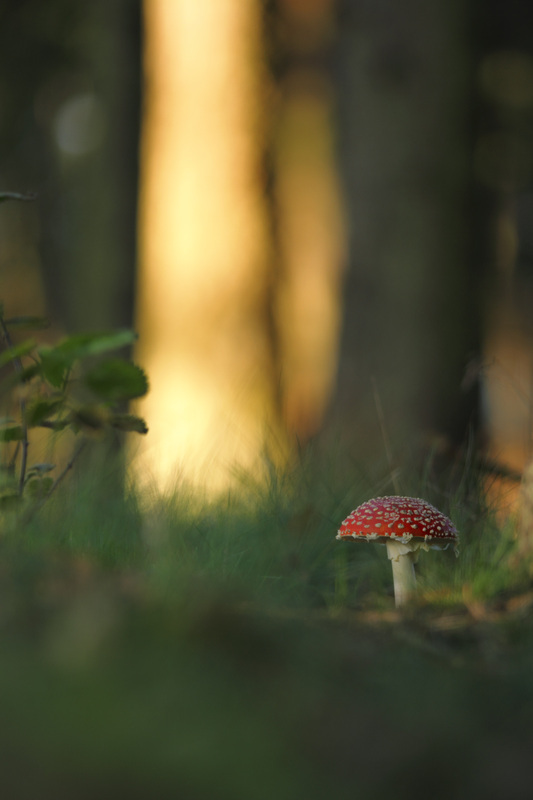 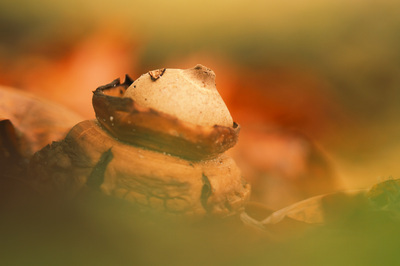 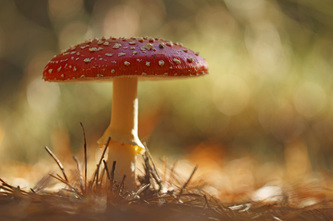 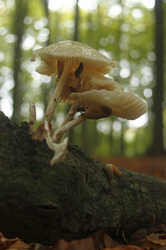 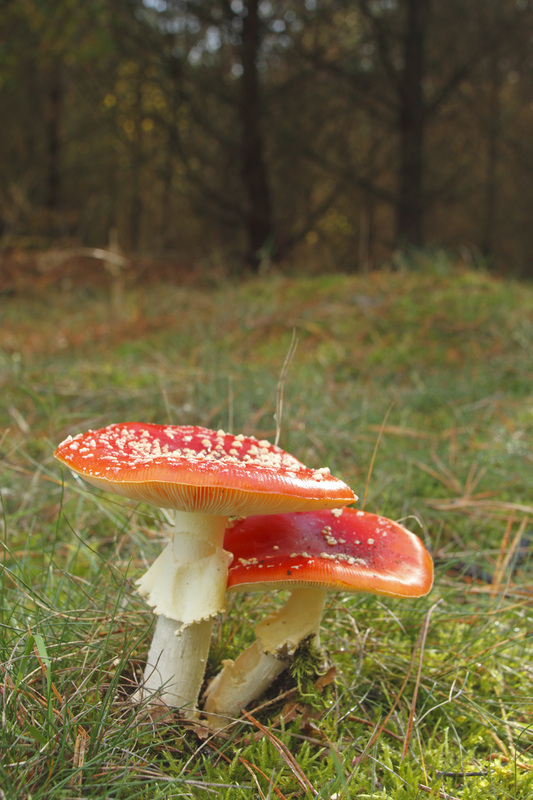 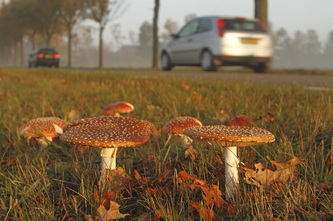 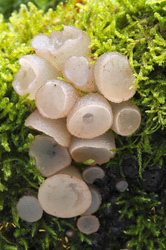 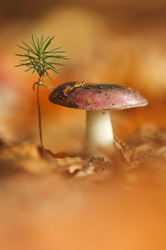 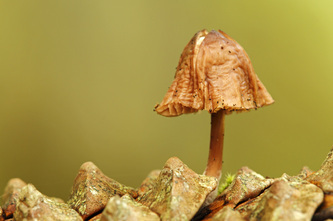 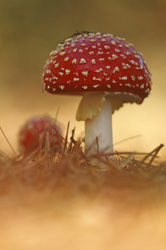 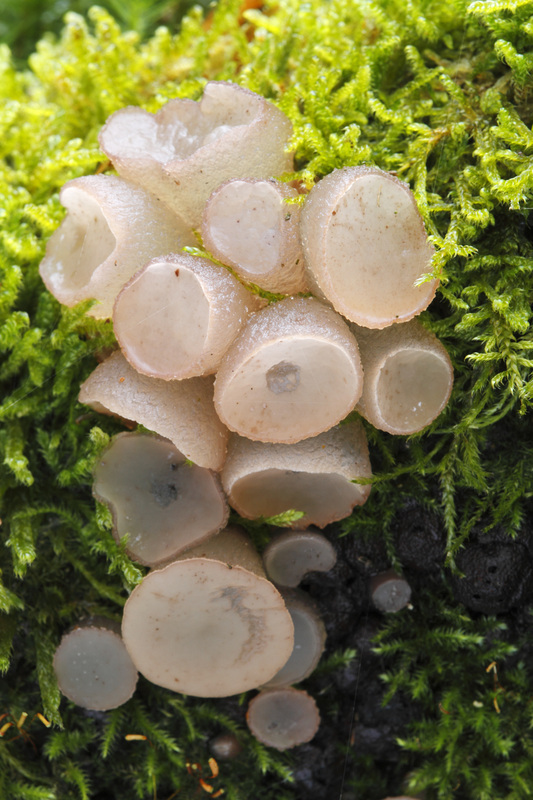 In the Netherlands mushrooms are protected and it's prohibited to collect them; also the mojority of Dutch people does not know if they are poisonous or not (most mushrooms are not). 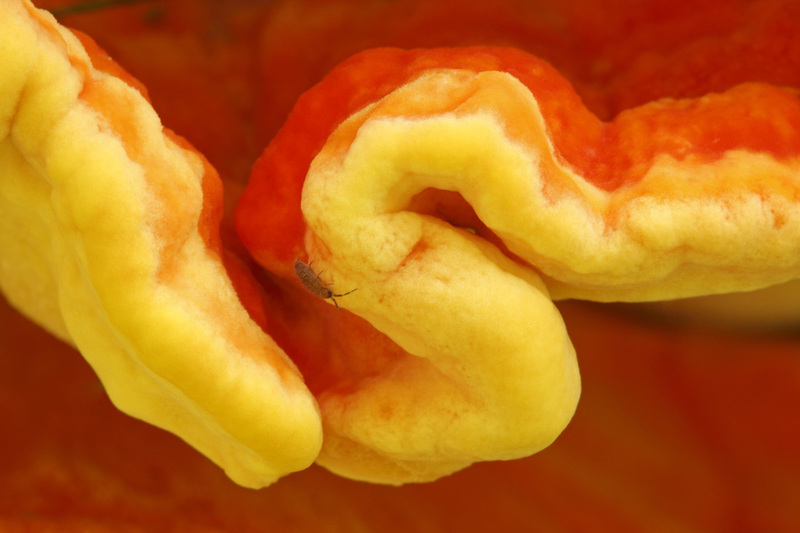 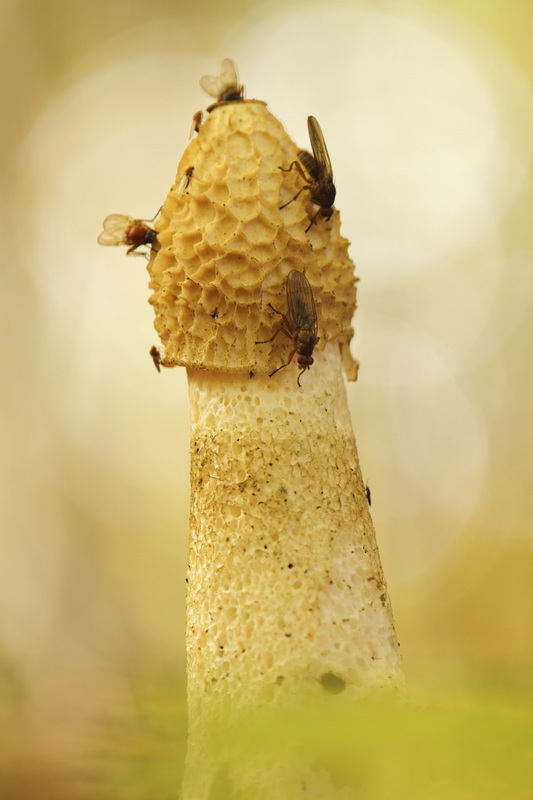 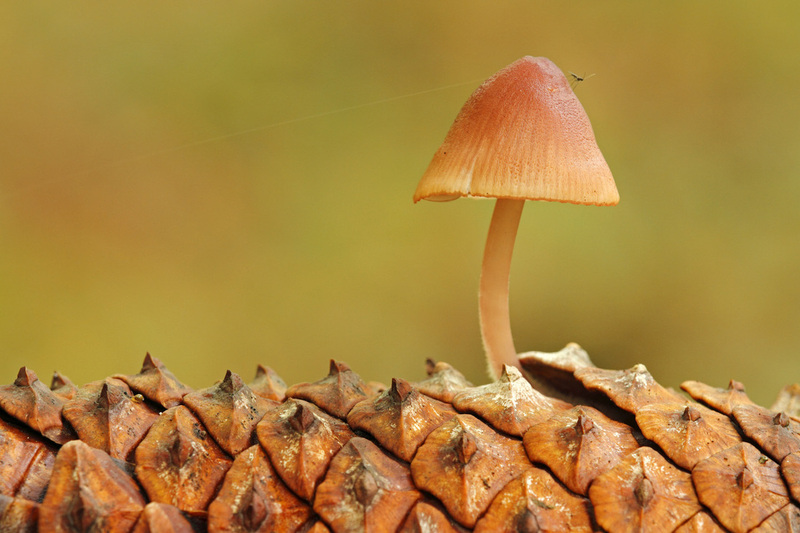 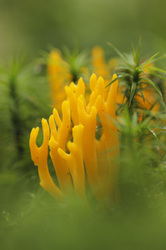 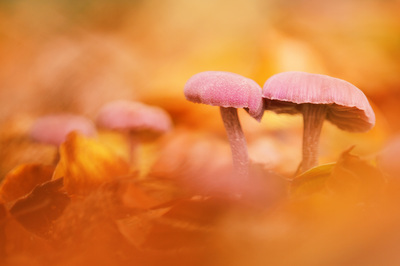 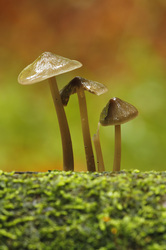 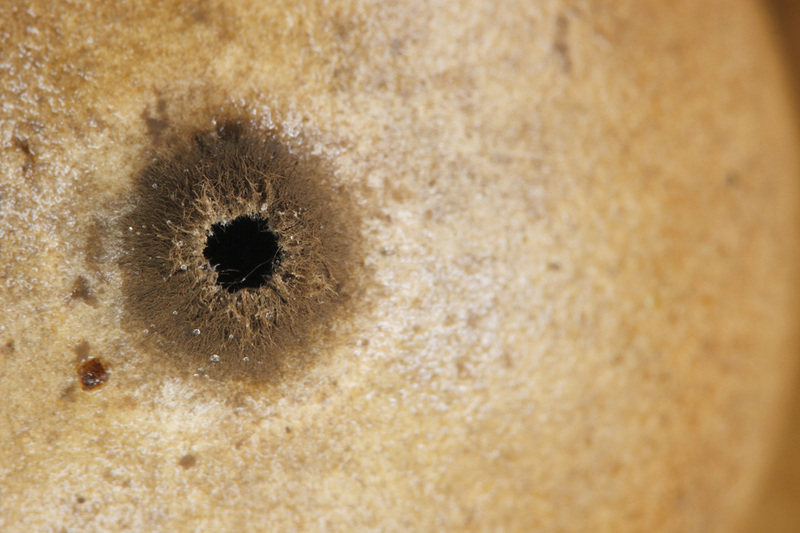 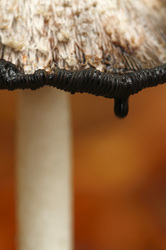 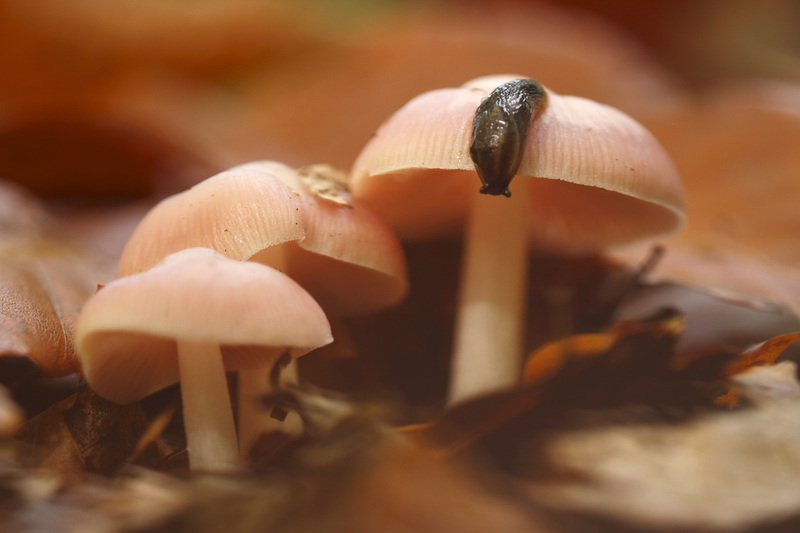 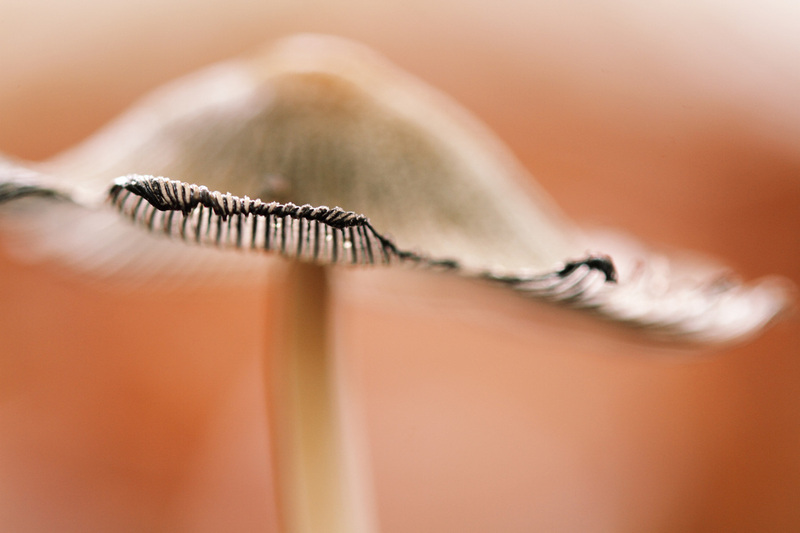 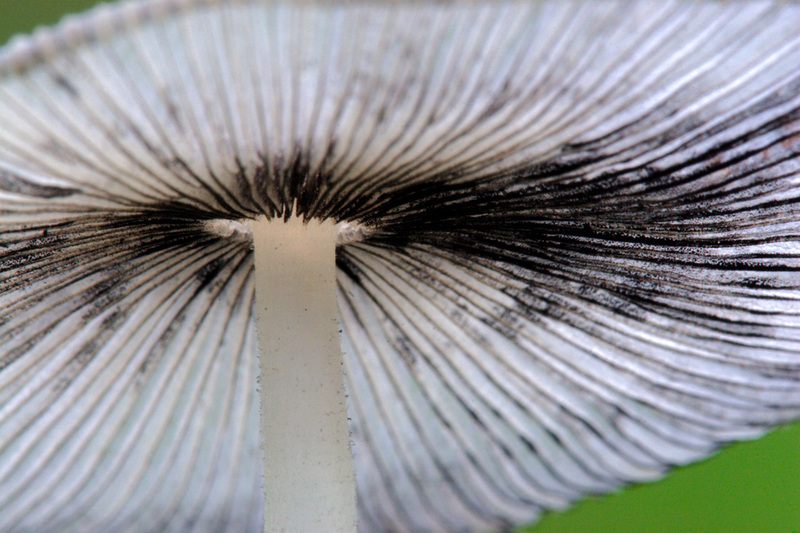 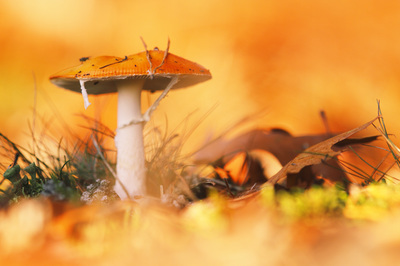 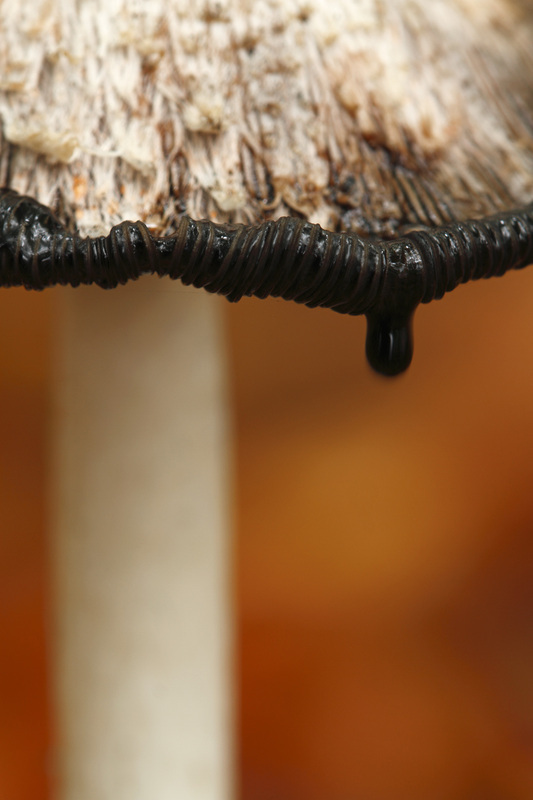 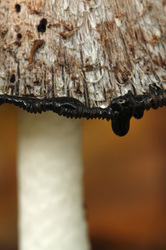 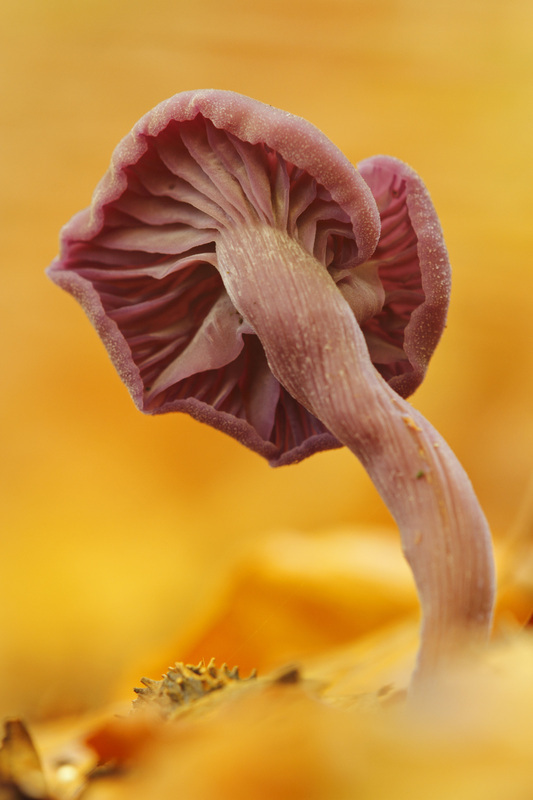 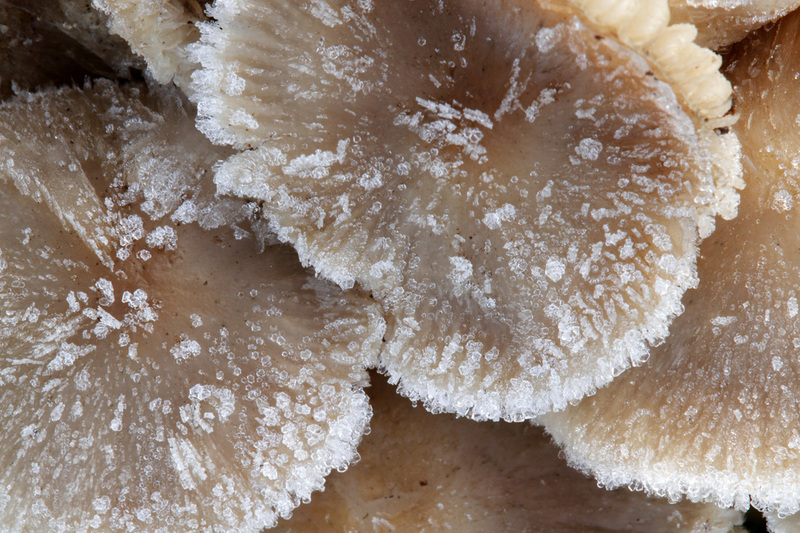 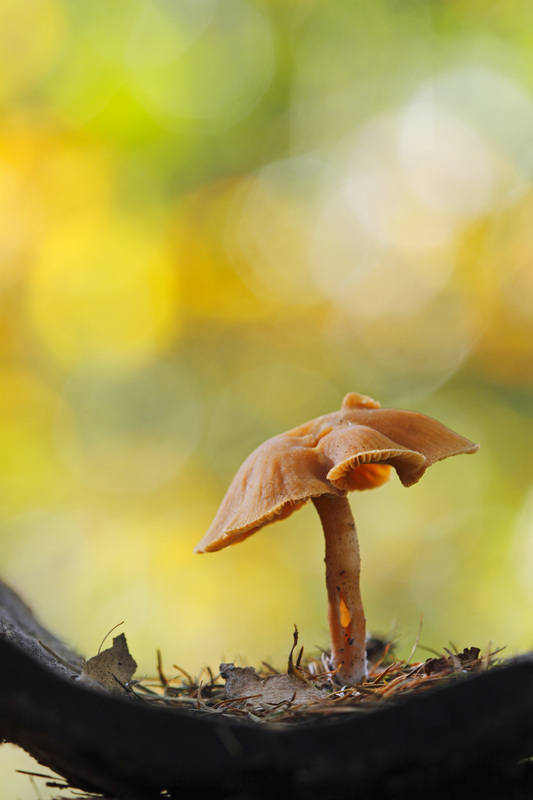 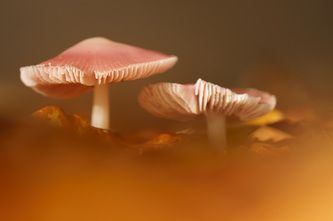 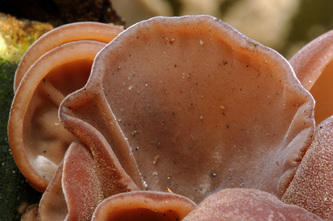 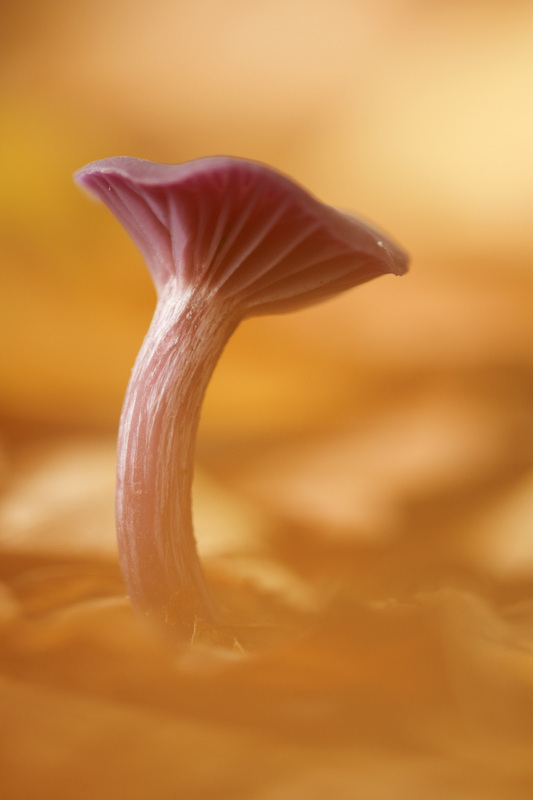 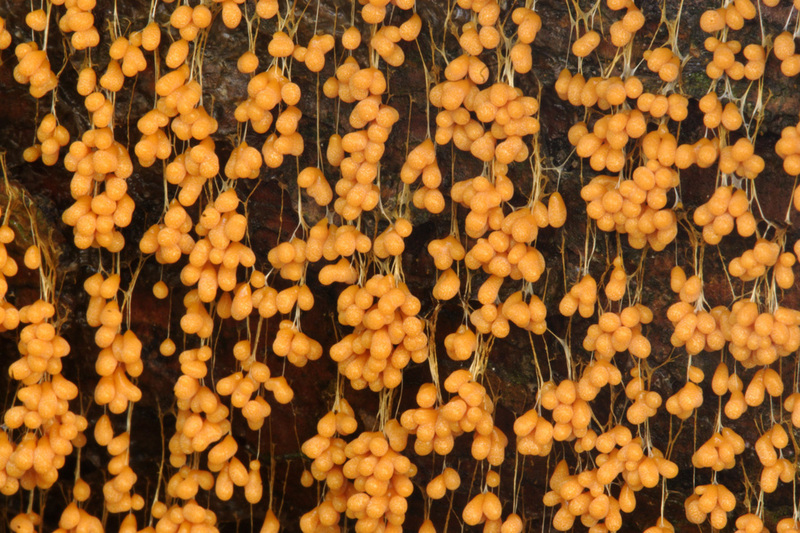 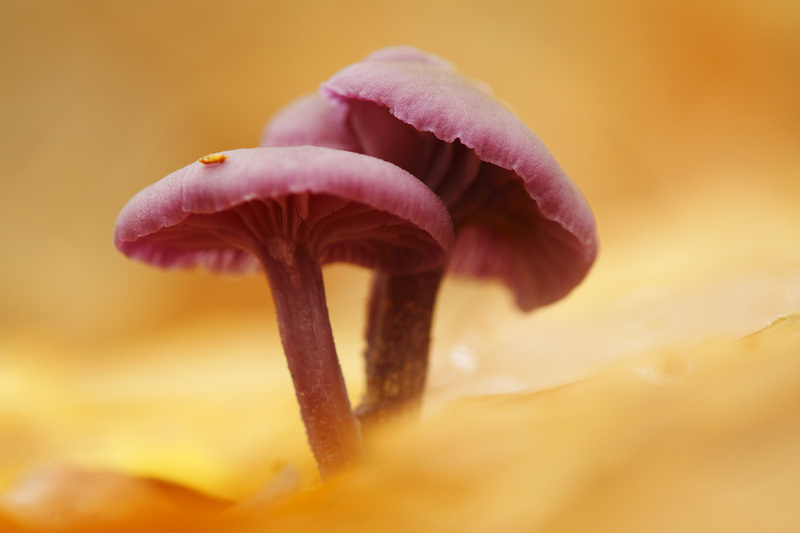 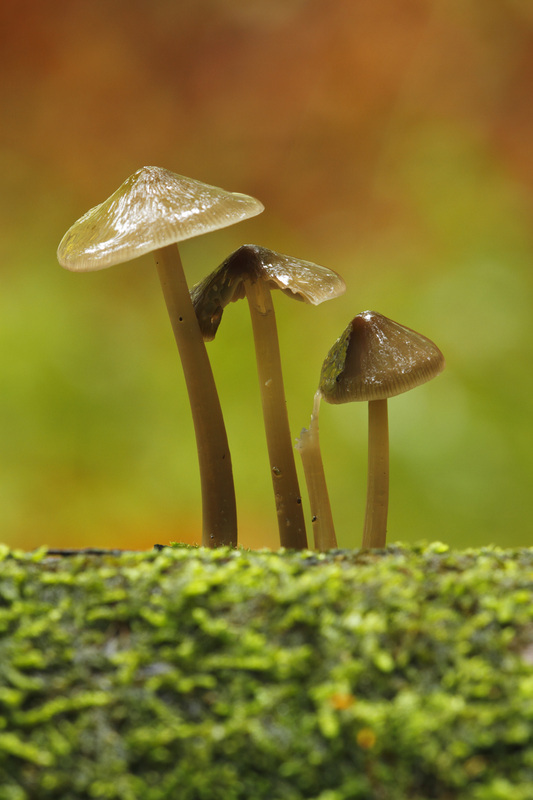 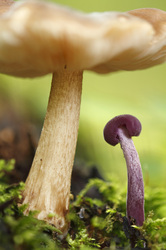 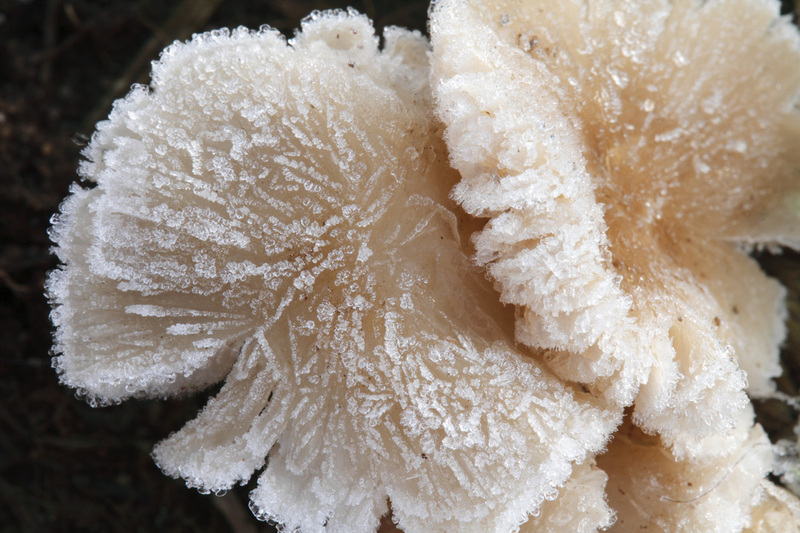 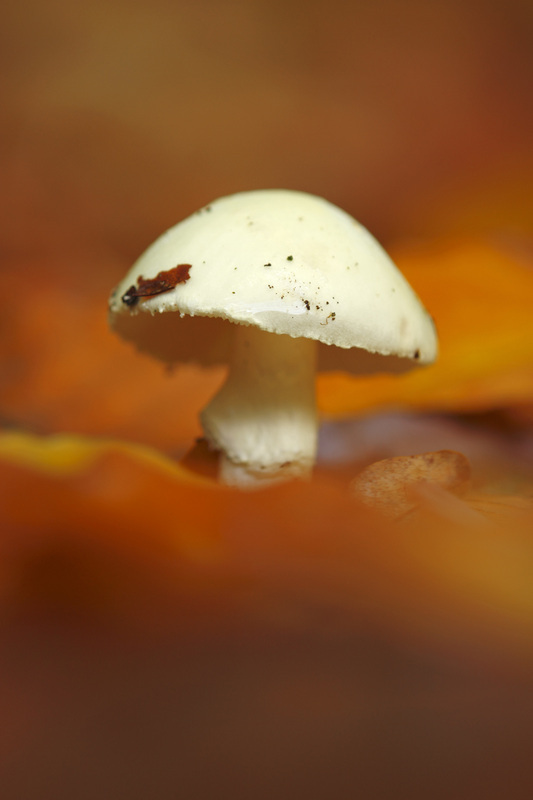 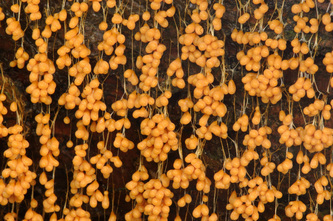 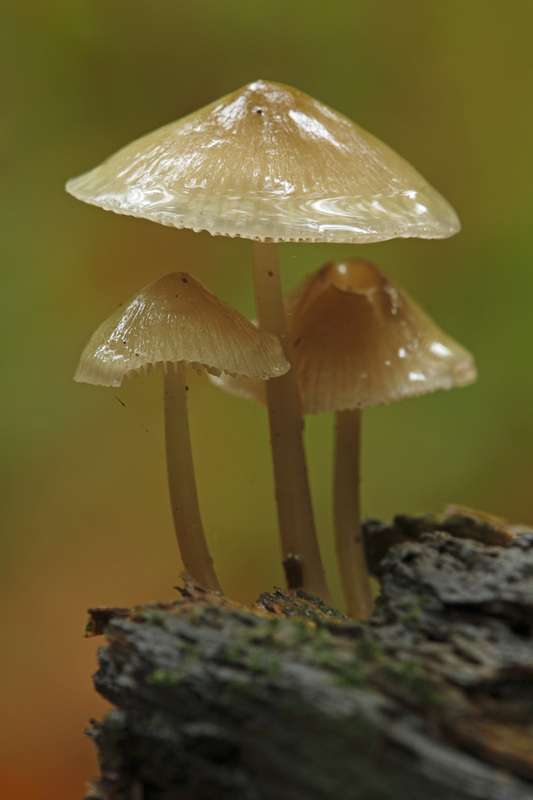 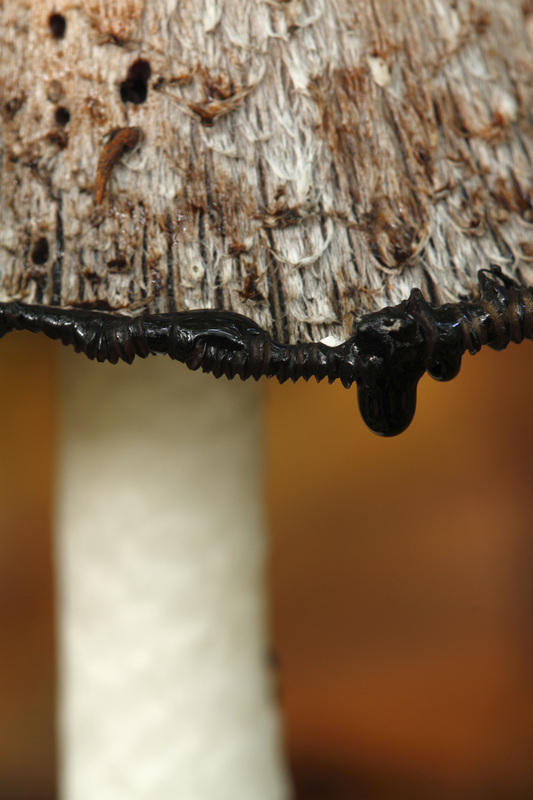 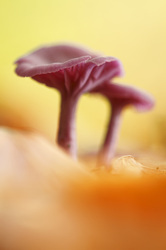 Photographing mushrooms is not that easy as photographing butterflies as they grow low. My position also is low and clothing always get dirty. For the photography I use one of my two macrolenses in combination with the beanbag and Angle Finder. 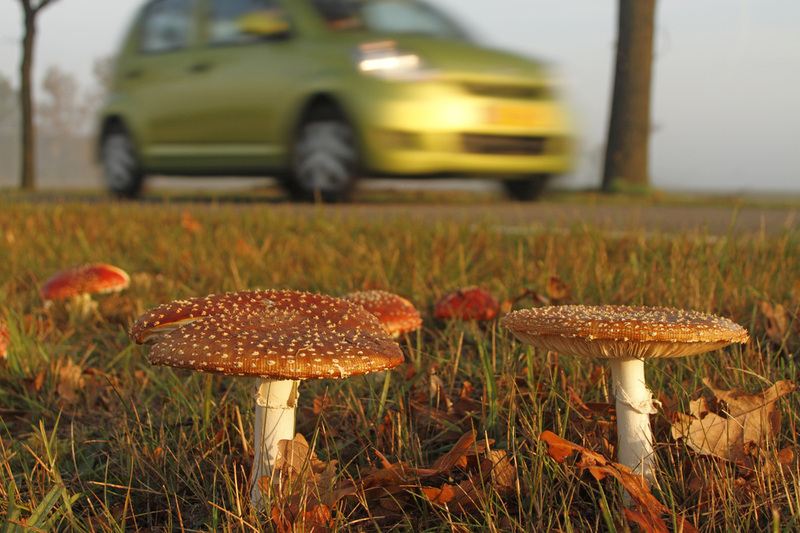 Late November 2011 I was photographing some mushrooms near a small road and as I was lying almost invisible between the leafs I was looking up every minute to be sure no car is coming. 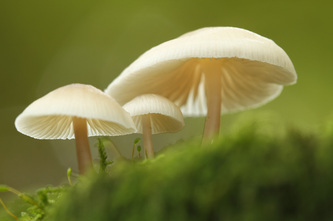 Suddenly I frightened, I heard a very loud noise and looked up ....two women on bikes were standing next to me....they were frightened too as they thought that I was dead or very sick.